Henry County Saddle Club, Inc. is a not-for-profit organization working to improve the future for horses, horse owners and our community. The mission of the Henry County Saddle Club is to promote and educate the members of Henry County Saddle Club in the care, appreciation, ownership and showing of light horses. The Saddle Club will provide opportunity and support to the 4H Horse & Pony Club and our community through the fostering of relationships with other horse clubs and associations through the care and improvements to the facility and grounds. The Henry County Saddle Club grounds were developed with the intent of providing a quality facility for Henry County Youth to show their horses and ponies. Through private donations, the development of the grounds began in 1959 with the construction of a 150x300 outdoor show ring, a two-story wooden entry booth and some tie stalls. Additions since that time have included an indoor arena (1983), a 76-stall barn (1991), the John Jordan Show Arena a 130x210 covered facility (1995) with 24' fan, a new 76 stall barn with 10x10 stalls (2012) and 20 new 10x10 stalls in 2013. In 2017, we have purchased 104 portable stalls and updated 125 stalls to 10x10. Our facility now offers 300 permanent stalls and the capacity for up to 365 stalls for larger shows. Other features include multiple horse wash racks with an additional 3 heated covered wash rack (2012), a full menu café, 4 make-up arenas, and heated restroom/shower facilities. We offer plenty of water and electric hook-ups and camping in a beautiful setting. The funds that are generated by the Henry County Saddle Club facility are primarily used for upkeep and improvements to the grounds. The Food and Beverage Tax Grants and the New Castle / Henry County Community Foundation have been instrumental in the improvements made to the facility. 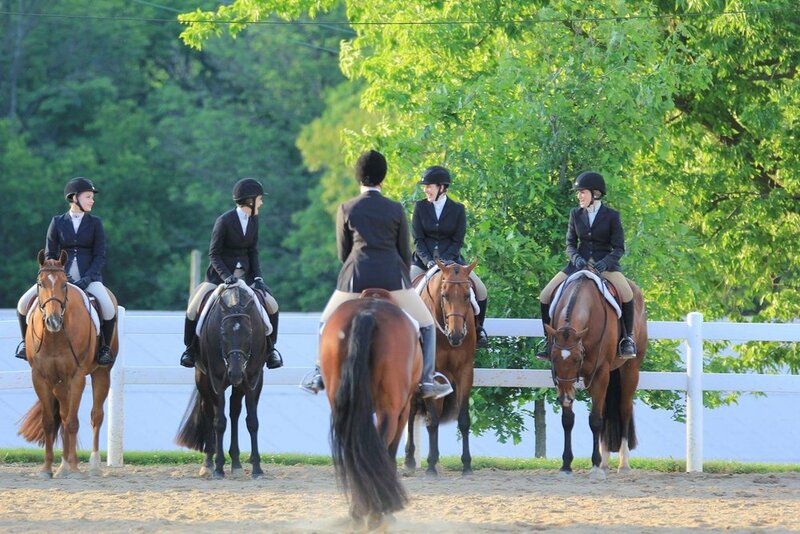 This attention to grounds maintenance, local support and our spirit of volunteerism have made New Castle, Indiana one of the primary stops in the Midwest for showing your horse. Please contact us to schedule your next event at hcsaddle@gmail.com or call Rebecca Baker at 765-524-2400. Family Camping Areas under trees on beautiful green grass. Spacious heated clean restrooms with softwater & hot showers. BOSE Sound System covering entire grounds! Electric Hookups ~Over 300 hookups 216 -20 amp; 165 - 30 amp ; 34 - 50 amp. 6 sites on east side of Jordan Arena. Located at the edge of Henry County Memorial Park. Fishing per IN State Law. Please observe all park rules and regulations when visiting our facility. The park closes at 11 pm. Golf carts and horses permitted on saddle club grounds only.